During his two-day visit, PM Modi will also meet Deputy Prime Minister for the Council of Ministers Sayyid Fahd bin Mahmoud Al Said and Deputy Prime Minister for International Relations and Cooperation Affairs Sayyid Asa'ad bin Tariq Al Said. 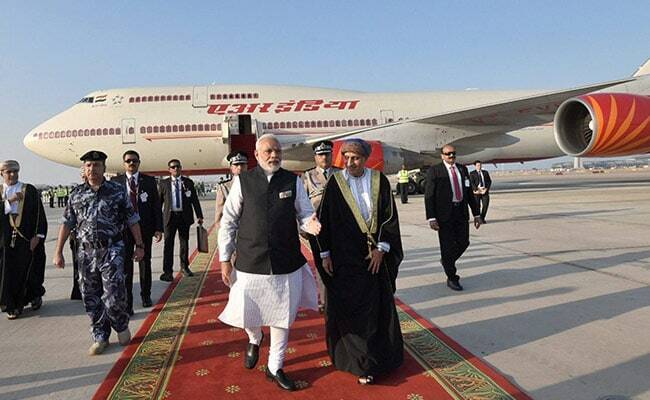 PM Modi arrived in Oman from Dubai on the last leg of his three-nation tour. Muscat: Prime Minister Narendra Modi today held wide-ranging talks with the Sultan of Oman as the two sides signed eight agreements, including pacts on cooperation in the field of defence, health and tourism. PM Modi, who arrived here from Dubai on the last leg of his three-nation tour, led delegation-level talks with Qaboos bin Said al Said and discussed measures to strengthen cooperation in trade and investment, energy, defence, security, food security and regional issues. "Charting out new frontiers in our bilateral relationship, PM @narendramodi led delegation-level talks with Sultan Qaboos of Oman. 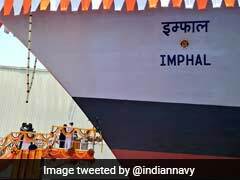 The two strategic partners discussed to strengthen cooperation in trade & investment, energy, defence & security, food security and regional issues," Ministry of External Affairs Spokesperson Raveesh Kumar tweeted. Sultan Qaboos appreciated the contribution of "honest and hard working" Indian nationals in the development of Oman. After their talks, the two sides signed eight agreements, including an MoU on legal and judicial cooperation in civil and commercial matters. They also signed an agreement on mutual visa exemption for holders of diplomatic, special, service and official passports and an MoU on cooperation in the field of health, tourism and peaceful uses of outer space. The two countries also signed an agreement on cooperation between Foreign Service Institute, Ministry of External Affairs, India and Oman's Diplomatic Institute. An MoU on academic and scholarly cooperation between National Defence College, Sultanate of Oman and the Institute for Defence Studies and Analyses. The two sides also signed annexutre to the MoU on military cooperation. Earlier, addressing the Indian diaspora at the Sultan Qaboos Sports Complex in Oman's capital, PM Modi said the ties of India and Oman have always remained strong despite the ups and downs in the political environment in both the countries. He also said that Indian diaspora has played an essential role in strengthening these ties. India and Oman have thriving links rooted in centuries old people-to-people exchanges, PM Modi said. More than nine million Indians work and live in the Gulf region. In Oman, they constitute the largest expatriate community. On the first leg of his trip, PM Modi had travelled to Ramallah, becoming the first Indian prime minister to make an official visit to Palestine. From there he visited the UAE, before arriving in Oman.